Lacerate the opposition and brandish this blade to further intimidate the world around you with our LARP Bloody Hatchet. Covered in weathered red paint from foam blade to handle, you can guess what the story is behind this axe. An exceptional weapon for many LARP campaigns as well as cosplay and costumes, our latex foam bloody hatchet is crafted with a fiberglass fusion core allowing it to be durable and lightweight. 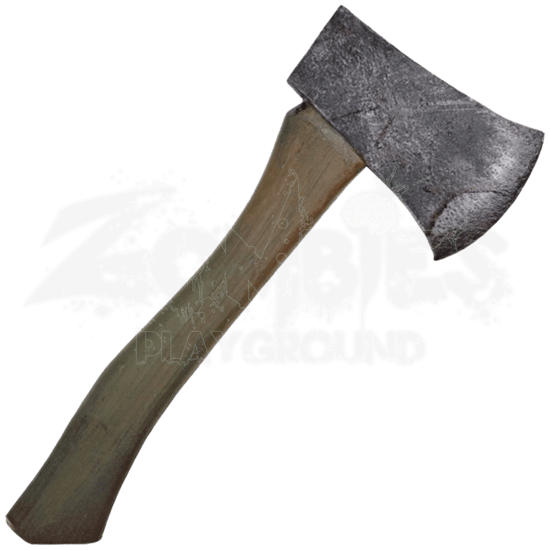 Inspired from axes used by woodsman and survivalists alike, this hatchet is a sharp weapon for combat in a variety of ways. The woodgrain painted handle creates a sense of realism and allows the wielder of this foam blade to hack and slash the world around them with ease.